Hawaii airline tips for 2019. We know getting to Hawaii can be tough – and expensive. Add on other vacation costs like food, activates, hotel and transportation and you could be looking at a hefty bill. But what if you just want to escape? How can you get from a to b without breaking the bank? Good news! More inexpensive flights than ever before are now en route to and from the Hawaii. Southwest Airlines launched its highly anticipated service to Hawaii in mid-march with twice daily flights between Oakland, California and Honolulu. Flights starting at a promotional rate of $49. Southwest also plans to launch inter-island routes, with the first launch on April 28 between Honolulu and Kahului. As usual, the lowest fares are available only on certain days of the week. Service from San Diego and Sacramento will be announced in the coming weeks, according to Southwest. Details about flights to and from Lihue, on Kauai, will also be announced soon. But Southwest isn’t your only air travel option. United and Hawaiian airlines also offer very competitive deals. in 2017, United Airlines added 11 Hawaii flights to their travel schedule. These new flights put United in the #1 spot with the most flights to and from Hawaii. Flights originate in hubs such as Denver, Chicago, San Francisco and Los Angeles. What were once seasonal routes now operate year-round making Hawaii more accessible than ever before. Additionally, Hawaiian Airlines added three new year-round routes. So, finding affordable flights is much easier than it used to be. Better yet, Kilauea Hospitality Group has a partnership with Hawaiian Airlines to make sure you get the best value on your airline travel. For travelers on a budget, we’d like to reiterate that we offer three accommodation options. Our most economical is Volcano Hale. Just a short drive from our hotel office, the lodge rooms at Volcano Hale are some of the best valued in the Hawaiian Islands. These rooms are nestled in a pristine rainforest. Five minutes from the entrance to Volcanoes National Park, Volcano Hale features five clean bedrooms and 2 shared bathrooms – perfect for budget travelers, adventure seekers, and backpackers. 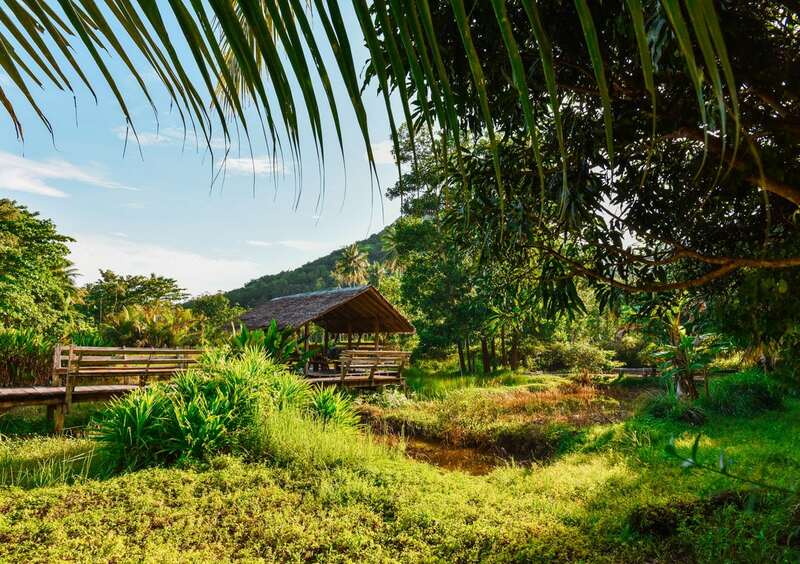 All guests have access to a community kitchen, free wireless internet and beautiful rainforest views! Stay tuned for some serious money-saving flight options. You’ll soon find a ton of amazing flight deals so you can vacation in Hawaii for less. Once you’re here, take advantage of all our island has to offer. Lush rainforests, beautiful beaches, adventure excursions and more. Know before you go: Hawaiian Customs and Quirks.